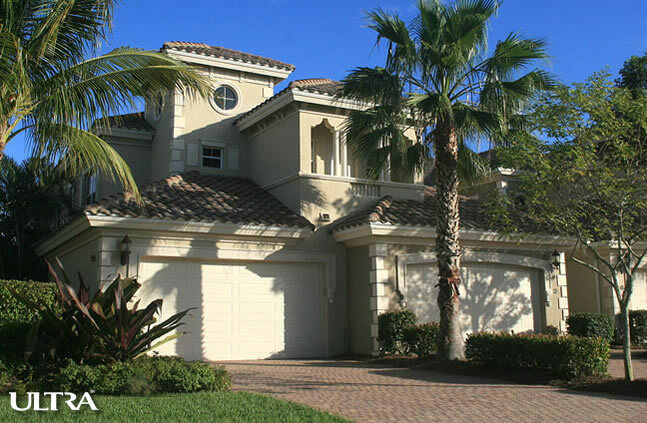 Fiddlers Creek condos are the Naples, Florida address you want. They are in a class by themselves because they're in Fiddler's Creek. You get all the privileges and experiences available to all owners as part of this exceptional master-planned community. The lifestyle here, the amenities and the atmosphere itself are extraordinary. In Fiddler's Creek, we call them Villages. Smaller neighborhoods of condos within the larger development. There are over a dozen of them like Bent Creek Village, Callista, Cardinal Cove, Cascada, Cherry Oaks, Deer Crossing, Hawk's Nest, Laguna, Marengo, Menaggio, Montreux, Serena, Varenna, and Whisper Trace within the inclusive community. If you have a favorite, links to each of these are below. Another example would be the Serena condominium community, having 30 buildings with just four units per building, water views, and a community swimming pool. All these have an attached two-car garages and are convenient to the award winning Spa, Club and Fitness Center. Square footages under air range from 2,408 up to 3,010 square feet in the three-bedrooms-plus-den models. Some of these offerings come fully furnished and ready to move in with features and upgrades like tile throughout, walk-in showers and even custom cherry wood cabinetry in keeping with the style and elegant appointments of each of these neighborhoods. With a short drive to either Naples or Marco Island, about 15 minutes either way entertainment, world class dining, and beaches await those willing to avail themselves of all this stunningly beautiful area has to offer. In dining, for example, within the Fiddlers Creek communities, the Caxambas Restaurant is like stepping back in time to a private club of years past with décor featuring antiques and glass in wrought iron while the food is all world class from classical to contemporary and with exemplary and attentive service to match. Speaking of entertainment, Fiddlers Creek is right in the middle of it all and you don't even have to leave the community to experience some of the best options in the area. A look at the social calendar would show such celebrations as the Fall Gala, the seasonal event you don't want to miss. The Fall Gala is a culinary and entertainment spectacular featuring music, great food from appetizers to desert and photo opportunities galore. Attendees can enjoy complimentary valet parking, open bars and the company of all their friends and neighbors while having meal choices from salads to seafood and more. Other events, everyone on the must list is the New Year’s celebration, Spring Fling Gala, Themed Events and Dinners, and special events for the kids. The condo communities of Fiddlers Creek have everything to offer anyone from those just starting a family to the retiree. For the families, there are plenty of excellent schools. Nature and fun are at your fingertips, too. The renowned Rookery Bay nature preserve and miles of stunning white sand beaches are all within a few minutes’ drive. Looking for that perfect place in Florida, at a little discount? Perhaps you'll find a great deal on a foreclosure or bank-owned property. While there aren't many available, there are usually at least a few to consider. Visit our page dedicated to Fiddler's Creek foreclosures for more information. Fiddler's Creek condos represent not only the best when it comes to the Naples condo lifestyle but also the best value. Whether your dream is to have a 3500 square foot new condo to call home permanently or an inexpensive resale bungalow to serve as your winter getaway; it's all here. You'll fall in love with the Spanish tile roofs, the glistening pools and the palm trees swaying in the breeze. When you own here, you automatically become a member of the famous Fiddler's Creek Club and Spa. This monument to the good life is the center of gravity when it comes to what the Fiddler's Creek lifestyle is all about. It has every amenity you have ever dreamed of in a resort and many you haven't even thought of yet.